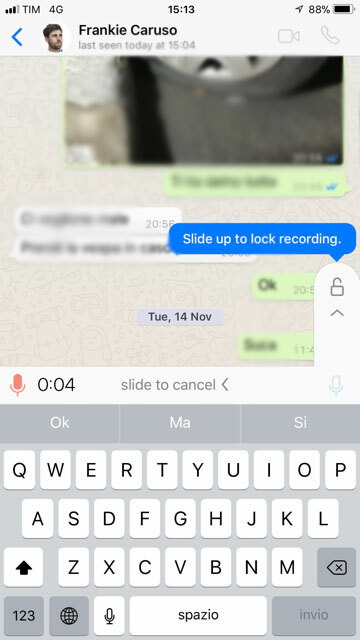 By the time that you have read through this entire article, you will have the full scope of how to record audio messages in the WhatsApp messenger without having to hold the mic button down. You can attribute this new ability to a recent feature added in from the developers. You might have found several instances in using the application in which you wanted to record a long audio message without having to hold down the button to do it. This is especially annoying when you are trying to multitask with another application, as this can be very time consuming. You’re likely going to be overjoyed to learn about a new feature that has recently been introduced to WhatsApp that will save you all of this trouble you are currently enduring. This feature, known as Locked Recordings, has single handedly made longer audio messages easy as can be. I told you it was easy to do. These new features are included on both the iPhone and the Android versions of the WhatsApp messenger application. Sending long vocal messages does not have to be complicated any longer. You might find that there are times where recording an audio message cannot happen, but you do have a lot to say. In this case, you might want to check out 7 Ways To Type Faster in WhatsApp here. While I strive to be clear and concise, sometimes it doesn’t read that way. If you have any questions, concerns or comments, feel free to add them in below. I will be sure to respond as quickly as possible.